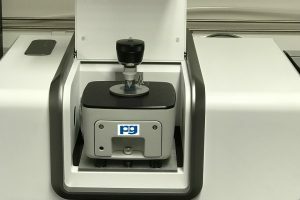 PG Instruments have recently introduced their NEW FTIR 7800 Spectrometer system. To celebrate this we are pleased to offer a SPECIAL DISCOUNT FOR SOME ACCESSORIES FOR THE FTIR7800 AND OTHER FTIR INSTRUMENTS including the Diamond ATR. High Spectral Quality and high throughput capability. Interchangeable Diamond, ZnSe, and Ge Crystal Puck Options. The PGI ATR Accessory is a performance single reflection ATR accessory is designed for laboratory spectroscopic sample analysis in the mid- and far-infrared. ATR Accessory has a strong and durable monolithic diamond ATR crystal which is ideal for analysing hard inflexible solid materials without risk of being scratched or damaged even for extreme point loads. Coupled with diamond’s inherent chemical resilience, this allows the PGI ATR Accessory to be used with the broadest range of sample types. A 1.8mm diameter diamond sample area means that good contact can be achieved even with the smallest amount of material available for analysis. ATR Accessory features an all-reflective optical design, which utilises precision-moulded aspheric mirrors and gold-coated optics as standard, and provides the PGI ATR Accessory with high transmission throughput and an extended wavelength range capability to match that of your mid- and far-infrared FT-IR instrument. Together with an optimised angle of incidence on the ATR crystal, these features ensure outstanding quality of spectra. Ge crystal puck for strongly absorbing samples. These ATR crystals are mounted in a durable stainless steel puck and held in place against a robust metal seal to ensure compatibility with a broad range of sample types. Repeatable and reproducible sample loads are enabled by a full-function pressure tower. This has an audible ‘click to indicate at the preset pressure limit, and features a swing anvil arm to allow easy access to the ATR crystal puck. 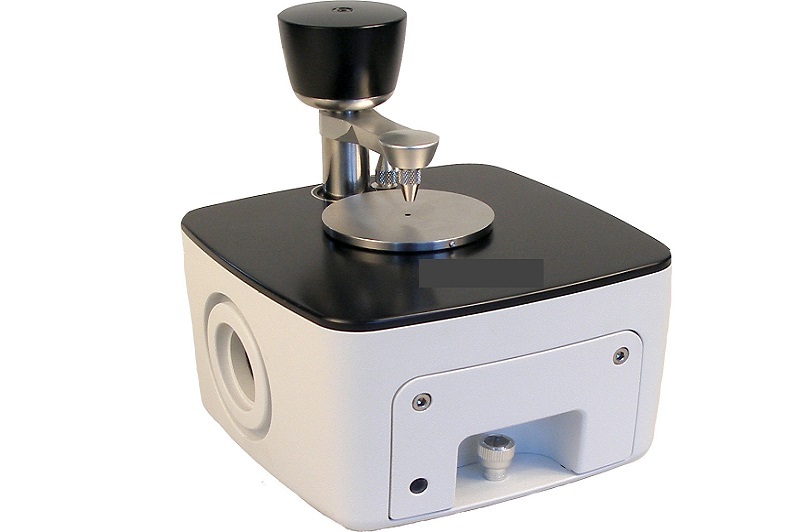 Both plane and pellet anvils are provides with the accessory to allow analysis of samples of various shapes. These anvils are easily interchangeable and stored on the top plate when not in use.